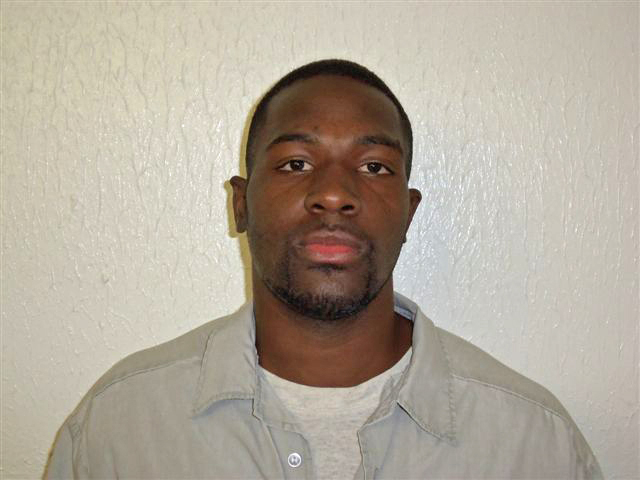 OKLAHOMA CITY - Alton Nolen told relatives after his release from prison on drug and assault charges last year that he wanted to focus on getting his life in order. But postings on the Facebook page of the 30-year-old Nolen, suspected of beheading a woman at an Oklahoma food distribution center, suggest that shortly after his release in March 2013, he became more interested in spreading the message of his newfound Islamic faith. "I spoke to him once he was released, and when we spoke, there was nothing of the sort," said Nolen's cousin, James Fulsom, 29, of Fort Worth, Texas. "I don't believe he was converted (to Islam) in prison." Cleveland County District Attorney Greg Mashburn said he expects to charge Nolen on Tuesday with first-degree murder in Thursday's killing of 54-year-old Colleen Hufford at the Vaughan Foods plant in Moore, an Oklahoma City suburb. Moore Police Sgt. Jeremy Lewis said Nolen, who had just been fired from the company, walked into the facility's administrative office and attacked Hufford with a large knife, eventually severing her head. Nolen then repeatedly stabbed 43-year-old Traci Johnson before he was shot by Mark Vaughan, a reserve sheriff's deputy and the company's chief operating officer, police said. "My son was raised up in a loving home. My son was raised up believing in God," his mother, Joyce Nolen, said in the video. "Our hearts bleed right now because of what they're saying Alton has done." Nolen was brought up attending a non-denominational Christian church in the southeast Oklahoma community of Idabel, and several members of his family were upset about his recent conversion to Islam, Fulsom said. But as recently as February, Fulsom told The Associated Press when he talked to Nolen there was no mention of his conversion. "He was just talking about what he was going to start doing, how he was going to get his life on track, and was ready to be focused on his future," Fulsom said. The Facebook page that Fulsom confirmed was his cousin's includes pictures of Nolen, bearded and wearing a prayer cap, outside a mosque, as well as his thoughts on Islam. Beginning in January, he began appending his posts with the phrase "InfoFromAMuslim." Most of his recent posts concerned religion. Oklahoma prison records show Nolen was released from prison after serving two years of a six-year sentence on charges that included assaulting a police officer and possession of cocaine with intent to distribute. Nolen received no misconduct reports during his incarceration at five separate facilities, Department of Corrections spokesman Jerry Massie said. Nolen also completed two programs while he was in prison - a transition program that helps inmates adjust to civilian life and one called "Thinking for a Change" that teaches inmates coping skills and how to control their anger, Massie said. Nolen's clean prison record, program participation, and credits he earned from his time in Logan County jail helped qualify him for an early release, Massie said. Nolen completed his probation in March of this year. "He did everything we asked him to," Massie said. Nolen, who remained hospitalized Monday, has been interviewed by Moore police, who declined to say what information they were able to obtain from him. Police have also asked the FBI to help investigate Nolen after co-workers told authorities he had recently started trying to convert several employees to Islam. Lewis said police asked the FBI to look into Nolen's background because of the nature of the attack, which followed a series of high-profile videotaped beheadings by Islamic State militants in the Middle East. "In no way, shape or form did he represent Islam in this foolish act," said Saad Mohammad, director of information for the Islamic Society of Greater Oklahoma City.